Any genuine like-for-like written quote matched or beaten! 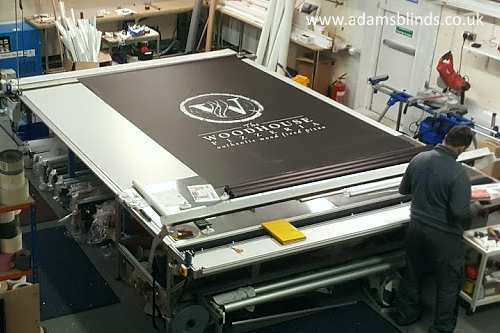 "I have used Adamsblinds for 4 projects so far and each have been great. They are good with my clients and can be trusted to delivery what they say they will. They are currently my number 1 choice for commercial clients." Our Values: We Love What We Do! Our Offer: Full Professional Service! All our blinds are made-to-measure therefore depending on the size of the window the cost varies. We offer a free no obligation quote service or If you send us some rough sizes we can provide you with a price. 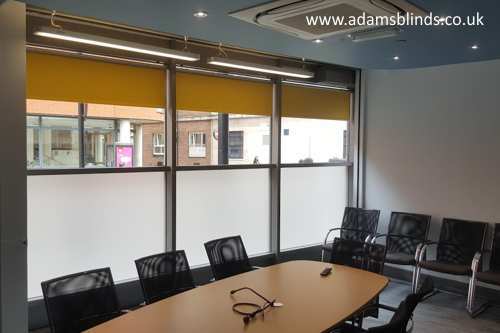 We are AdamsBlinds™ - interior, exterior and outdoor shading designers, suppliers and fitters. are manufactured within the UK. If you would like a quick price estimate or quote prior to our visit, please email us at . Send the approximate measurements of your windows, some photos (if possible), the type/colour of the blinds you are looking for, with your postcode, and we will reply the same day if possible. Alternatively complete the 'Request A Quote' or 'Book An Appointment' form. During our visit we will present you with fabric and colour samples that you can choose from. On request we can provide you computer simulations of how different types of blinds would look on your windows before you make your final decision. Our lead time is generally between 5-15 working days, depending on project size, type of blinds or shading type selected, and time of the year. 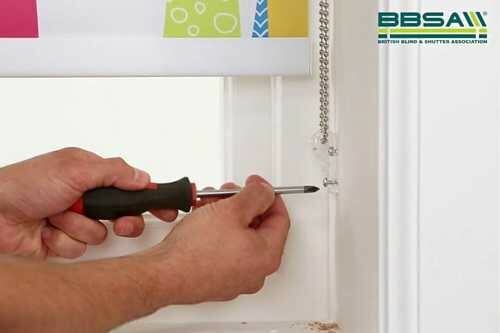 therefore all our products are supplied with child safety devices to comply with BS EN 13120:2009 +A1:2014 which are fitted to a side wall and keep any chain or cord loop restrained. There are also various breakaway links on chain and cord controls. These are designed to separate if a child became entangled in the loop. Warning: young children can be strangled by loops in pull cords, chains, tapes and inner cords that operate the product, to avoid strangulation and entanglement, keep cords out of reach of young children. Cords may become wrapped around a child's neck. Move beds, cots and furniture away from window covering cords. Do not tie cords together. Make sure cords do not twist and create a loop. We offer 24 months product warranty and 12 months fitting warranty on all of our made-to-measure blinds. > Measure and fit yourself? yourself, we can make your products with the dimensions you provide in the selected fabrics, colours and options you specify and send it to the address you provide. Please email us the details to for a quote. > Commercial Blinds with fitting service in London: Manual and motorised: Office blinds, Flame retardant blinds, Fire retardant blinds, Sunscreen Blinds, FR Roller blinds, FR Vertical blinds, FR Venetian blinds, FR Faux venetian blinds. > Domestic Blinds with fitting service in London: Manual and motorised: Blackout blinds, Casette blinds, Cassetted blinds, Roman blinds, Romans, Venetian blinds, Venetians, Wooden blinds, Woods, Aluminium blinds, Alis, Vision blinds, Panel blinds, Pleated blinds, Cellular blinds, Honeycomb blinds, Intu blinds, Perfect-Fit blinds, Faux venetian blinds. > Roof Blinds with fitting service in London: Manual and motorised: Roof blinds, Skyight blinds, Conservatory blinds, Velux blinds, Fakro blinds, Rooflite blinds, Keylite blinds, Roto blinds, Dakea blinds, Optilight blinds. > Custom Made Blinds with fitting service in London: Manual and motorised: Shaped blinds, Cordless blinds, Blinds for inward opening windows, Child safe blinds, Pet safe blinds, Thermal blinds, Antimicrobial Blinds, Antibacterial Blinds, Energy saving blinds, Easy-wipe blinds, Printed blinds. > Blinds by Location with fitting service in London: Manual and motorised: Sash window blinds, Baywindow blinds, Bedroom blinds, Kitchen blinds, Bathroom blinds, Living room blinds, Patio door blinds. > Shutters with fitting service in London: Shutters, Plantation shutters, Blackout shutters, Plastic shutters, Vinyl shutters. > Outdoor Shading with fitting service in London: Awnings, Exterior roller shutters, Exterior roller blinds, Outdoor blinds, Outdoor shutters. > Window Blinds Types with fitting service in London: Manual blinds, Electric blinds, Battery operated blinds, Motorised blinds, Hard wired blinds, Solar Blinds, Made-to-measure blinds, Custom blinds, Custom made blinds, Blinds, Blind, Window blinds, Window coverings, Window covering, Window shades, Shadings, Shade, Window treatment, Window treatments, Budget blinds, Premium Blinds, Fitted blinds, Louvolite blinds, Eclipse blinds, Decora blinds. > Window Blinds Service: We offer site survey for blinds, do home consultation, blinds measuring service, blinds design, blinds fitting by blind fitter, Blind fitters, blind installers, shutter fitters, shutter installers. Counties we cover: Berkshire, Essex, Bedfordshire, Hampshire, Kent, West Sussex, Buckinghamshire, Hertfordshire, Surrey and East Sussex. The London commuter belt: Reading / Wokingham, Southend, Luton / Dunstable, Aldershot, Medway Towns, Crawley, Slough, Basildon/Wickford, High Wycombe, Chelmsford, Basingstoke, Maidstone, Stevenage, Grays / Tilbury, Aylesbury, Royal Tunbridge Wells, Maidenhead, Welwyn, Reigate / Redhill, Brentwood, Horsham, Sittingbourne, Amersham / Chesham, Hertford/Ware, Letchworth/Baldock, Hatfield, Fleet, Tonbridge, Canvey Island, Bishop's Stortford, Leighton Buzzard, Billericay, Hitchin, Haywards Heath, Windsor/Eton, Burgess Hill, Harpenden, Sevenoaks, Stanford Le Hope / Corringham, Ditton, Godalming, Potters Bar, New Addington, Berkhamsted, Swanley, Gerrards Cross and Crowborough. > (C) Central London Blinds and Shutters with fitting service. > (E) East London Blinds and Shutters with fitting service. 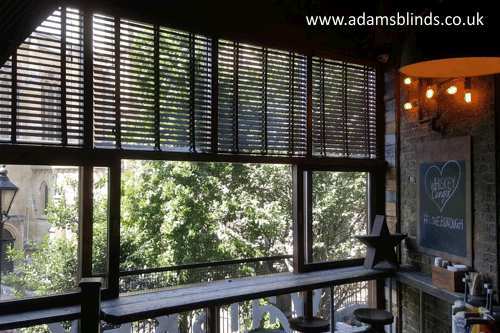 AdamsBlinds™ blinds and shutters fitting service offered in E1, Whitechapel, Stepney, Mile End, E2, Bethnal Green, Shoreditch, E3, Bow, Bromley-by-Bow, E4, Chingford, Highams Park, E5,Clapton, E6, East Ham, E7, Forest Gate, Upton Park, E8, Hackney, Dalston, E9, Hackney, Homerton, E10, Leyton, E11, Leytonstone, E12, Manor Park, E13, Plaistow, E14, Poplar, Millwall, Isle of Dogs, Docklands E15, Stratford, West Ham, E16, Canning Town, North Woolwich, Docklands E17, Walthamstow, E18, South Woodford, IG1, Ilford, IG2, Gants Hill, IG3, Seven Kings, IG4, Redbridge, IG5, Clayhill, IG6, Barkingside, IG7, Hainalt, IG8, Woodford Green, IG11, Barking, RM1, Romford, RM2, Gidea Park, RM3, Harold Wood, RM4, Havering-atte-Bower, RM5, Collier Row, RM6, Chadwell Heath, RM7, Rush Green, RM8, Becontree Heath, RM9, Becontree, RM10, Dagenham, RM11, Emerson Park, RM12, Hornchuch, RM13, Rainham and RM14 Upminster. > (N) North London Blinds and Shutters with fitting service. > (SE) South East London Blinds and Shutters with fitting service. 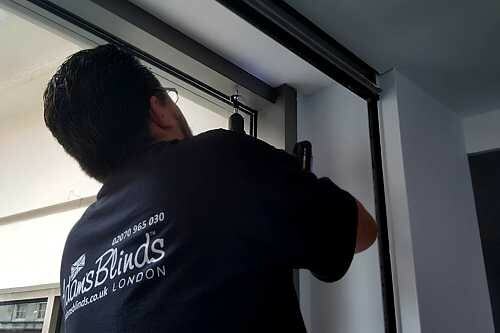 The blinds and shutter fitting service we provide also available in SE1, Waterloo, Bermondsey, SE2, Abbey Wood, SE3, Blackheath, Westcombe, SE4, Brockley, Crofton Park, SE5, Camberwell, SE6, Catford, Hither Green, SE7, Charlton, SE8, Deptford, SE9, Eltham, Mottingham, SE10, Greenwich, SE11, Lambeth, SE12, Lee, Grove Park, SE13, Lewisham, Hither Green, SE14, New Cross, SE15, Peckham , SE16, Rotherhithe South, SE17, Walworth, Elephant & Castle, SE18, Woolwich, Plumstead, SE19, Upper Norwood, SE20, Penge, Anerley, SE21, Dulwich, SE22, East Dulwich, SE23, Forest Hill, SE24, Herne Hill, SE25, South Norwood, SE26, Sydenham, SE27, West Norwood, Tulse Hill and SE28 Thamesmead. > (S) South London Blinds and Shutters with fitting service. 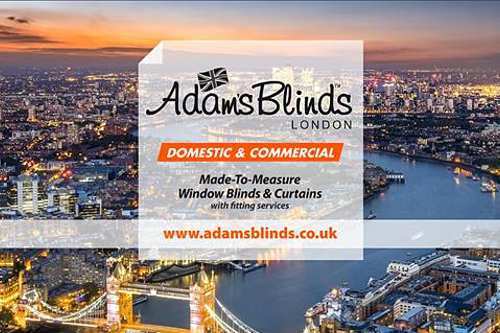 Installation service for blinds and shutters offered by AdamsBlinds™ in SM1, Sutton, SM2, Belmont, SM3, Cheam, SM4, Mordent, SM5, Carshalton, SM6, Wallington, TN14, Cudham, TN16, Biggin Hill, BR1, Bromley, BR2, Keston, BR3, Beckenham, BR4, West Wickham, BR5, St Mary Gray, BR6, Orpington, BR7, Chislehurst, CRO, Croydon, CR2, South Croydon, CR4, Mitcham, CR5, Coulsdon, CR7, Thornton Heath, CR8, Purley, CR9, Croydon, DA14, Sidcup, DA15, Bexley, DA16, Welling and DA17 Belvedere. > (W) West London Blinds and Shutters with fitting service. > (SW) South West London Blinds and Shutters with fitting service. > London Blinds and Shutters with fitting service.